very nice and cool game! :) I recommended to anyone! This is the best solitaire I've played. It's probably because it plays to what I like: fantasy. I have played through this game's story multiple times to try and complete my collection of rare creatures, and I'm still not done! It's my go-to solitaire now. I have always liked solitaire games. This is definitely the best I have played in a long, long time. It is without a doubt the best so far. I bought this game and look forward to playing to the finish. Awesome! This is my all-time favorite solitaire game. 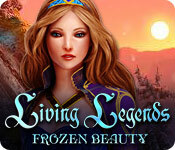 The storyline is engaging and the scenes are beautifully rendered. There are 32 eggs to find and evolve into magical creatures. In addition, there are 30 achievements to earn. Gameplay continues with a challenge mode where you can earn multiple stars on the levels within each of the eight stages. When there is a sequel, it would be an immediate purchase. Beware - the prismatic egg will take multiple times playing through the game or selected levels to find the egg and evolve the creature. 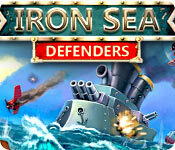 this game is surprisingly fun and, yes, addictive. it takes a well-known theme, the card game, solitaire, and builds upon it to create a fun little story with faeries, hidden magical eggs and trapped magical creatures that need to be freed. i thought it might be a fun little time-waster, but it's so much more than that -- it actually grabbed me and sucked me right in! I played this and loved it. Then after about a ear later when only HOGs were coming out, I downloaded it and played again. It is right up there with Avalon Legends. I love this wonderful card game. It's relaxing and fun. It has good graphics a great story and the music is just soft background noise I really didn't pay attention to it while I was playing the game. I played through the entire demo and didn't realize my 60 minutes where up. I've bought and downloading as we speek. Try this game! This game is so much fun! 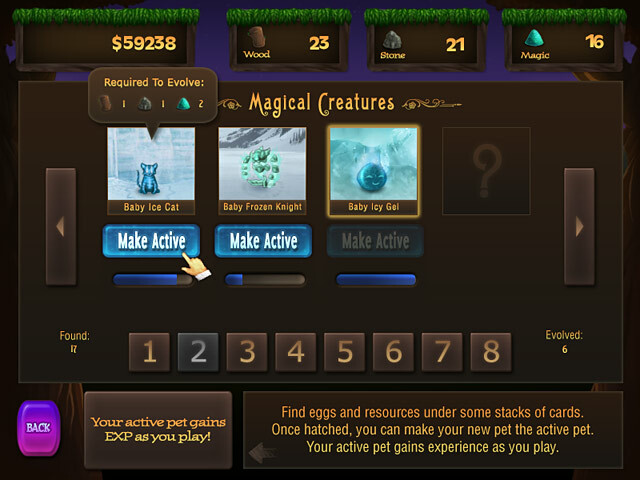 There is a lot to do in the game play, eggs to collect, cute creatures to evolve and goals to achieve. You can play in story mode and after that is complete you can play challenge mode or replay levels of the story. We purchased this quite a while ago and have played many times. 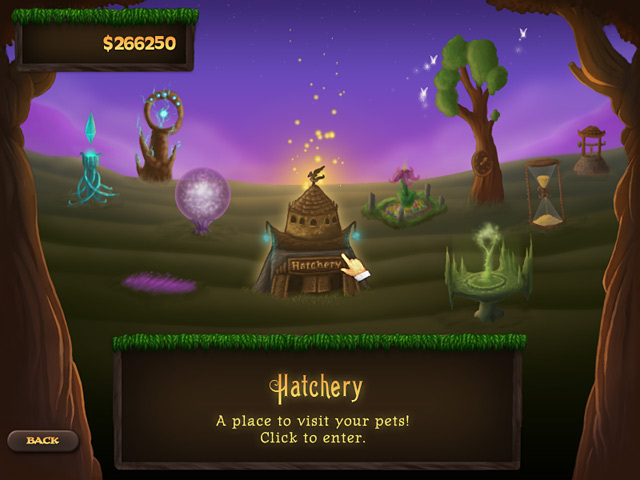 One of the achievements is to acquire and evolve all the little creatures from the eggs collected. We still have 2 eggs left to obtain, so will continue playing until that goal is met. The game is very addicting and so much fun! The music is nice and the voice over in the story is pleasant. 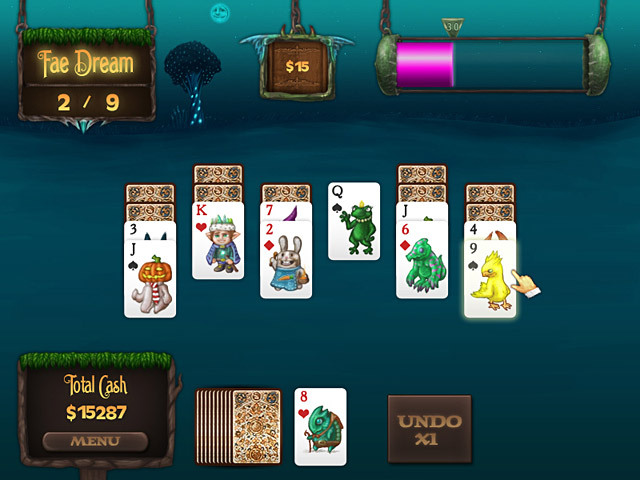 At the end of completing the adventure, there is a book graphic that is titled "Faerie Solitaire 2". Will be a buy. Great story line, graphics and the game keeps you going. Worthwhile playing. When version 2 comes out, it'll be an automatic buy. Challenges get harder as you progress. Well worth the price.